Seborrheic dermatitis is a common condition of the skin that results in scaly patches, redness, and dandruff and hair loss. It usually affects scalp; however, it may also occur in the oily areas of body including back, upper chest and face. It needs ongoing treatment but the condition can be managed effectively by developing a healthy routine of skin care and recognizing and eliminating triggers. The exact cause is unknown; however, according to physicians two major factors contribute to its development. The first contributing factor is excess production of oil, which acts as an irritant, making the skin greasy and red and hair follicles blocked. The second factor is fungus Malassezia that is found naturally in oils of skin. Its abnormal growth can lead to excess secretion of oil resulting in seborrheic dermatitis. Skin in the affected area develops into scaly patches that may flake off. These patches are yellowish or white in color. It is commonly referred to as dandruff and may occur in eyebrows, beard or scalp. Skin of the affected region becomes oily and greasy. Skin becomes red and itchy. Hair loss can happen in the area affected. Prescription strength ointments and shampoos for seborrheic dermatitis contain desonide, fluocinolone or hydrocortisone. These may be applied directly on the area affected. Though they treat the condition effectively, they may result in side effects if used for longer duration. Metronidazole can ease symptoms by killing bacteria. It is available in both gel and cream forms. You can apply it one or two times a day till there is improvement of symptoms. Your physician may use combination of light therapy and psoralen to manage symptoms of seborrheic dermatitis hair loss. You may take psoralen orally or apply it to your skin. After ingesting or applying psoralen, exposure of ultraviolet light is given to your affected skin for a short duration. Tea tree oil penetrates the follicles of hair and removes fungal infections whereas Aloe Vera soothes irritation and itching of scalp. The pH of your hair and scalp is also maintained by this combination. 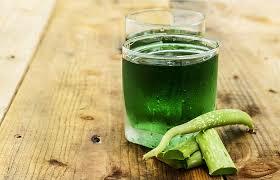 Mix 20 drops of tea tree oil with 2 tbsp of Aloe Vera gel thoroughly to obtain smooth mixture. Apply this mixture to your scalp. Leave it on your scalp for around 15 minutes. Then wash and rinse with mild shampoo (sulfate-free) and cool water. You should do this two to three times per week to obtain best results. ACV helps in balancing the pH of the scalp and in killing harmful fungus and bacteria. It also soothes itching and reduces flaking. Dilute four tbsp of ACV in 2 cups of water. Set aside the mixture in a container. Wash your hair using a mild shampoo (sulfate free). Then apply conditioner to your hair. After rinsing the conditioner from your hair rinse your hair with the ACV solution. Do this one time per week. Juice of lemon is acidic in nature; thereby, it balances the pH level of scalp. It also controls the production of oil on scalp, preventing excessive flaking and clogging. Squeeze around two tbsp lemon juice out of fresh lemons. Apply this juice using cotton pad to affected areas of the scalp. Let the juice of lemon remain on the scalp for around 15 minutes. Wash and rinse your hair using warm water. You can do this two to three times per week for best results. 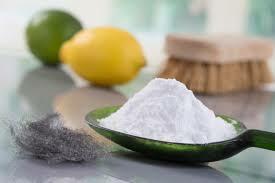 Baking soda is an alternative to using shampoo and it controls excess production of oil. Your hair will become softer after you have used it for a couple of times. Wet your hair using warm water. Massage two tablespoon baking soda into the scalp and wet hair gently for few minutes. Then rinse using warm water. You can do this two to three times per week. Honey has antifungal and antibacterial properties, which help in reducing the infection. Its anti-inflammatory properties help in soothing the inflammation of the scalp. Dilute one tablespoon raw honey with one tablespoon water. Apply this mixture on the affected area of the scalp. Let the honey remain on your scalp for around three hours. Rinse using lukewarm water. You can do this three times per week. Essential fatty acids are present in borage oil that helps in relieving seborrheic dermatitis hair loss. It also helps in moisturizing and nourishing the scalp, calms production of oil and soothes inflammation. Take a cotton pad and saturate it with around one tsp of borage oil. Now apply this to affected areas of the scalp. Leave it overnight. In morning wash your hair using a mild shampoo (sulfate free) and warm water. You can do this three to four times a week.